Are you a Plasma fan? And you want to develop KDE applications? This has just become easier and more fun than ever before. In early November, we hosted a Snapcraft Summit in our London offices, a forward-thinking software workshop attended by major software vendors and Snapcraft engineers working at every level of the stack. Together, we sat down and helped bootstrap snaps of some really amazing products. Build-snap – this package is an essential snap that includes all the different build dependencies needed for KDE development – specifically the KDE Frameworks 5. If you want to create a new KDE application, this snap comes with the necessary libraries and tools for development. You can use the build-snap on any system, without having to worry whether your system satisfies the dependencies, or having to run virtualization, containers or other complex setups. You can also develop with the latest, bleeding-edge Qt, Qt Quick, Kirigami and Plasma toolkits without using any custom repositories. This approach also cuts down on boilerplate definitions that you normally have to put into the snapcraft.yaml file. With the new build snap technology, KDE application snapping is much easier than before as less obscure code needs to be added to make a snap actually use the correct development files to build software against the content snap. Previously, we had to resort to manually creating tarballs with all necessary assets and then instruct snapcraft to unpack them correctly. Now, snapcraft takes care of setting this up, and the build snaps, by virtue of being snaps, can make use of all the goodness of the Snap Store (e.g. clear revisions, easy rollback). The build snaps, together with the forthcoming extension, will make snapping KDE software super easy by moving all cruft behind the scenes, and a simple snapcraft.yaml will know how to properly build KDE software. Content snap – this package is an essential snap that includes all the runtime libraries for KDE applications. 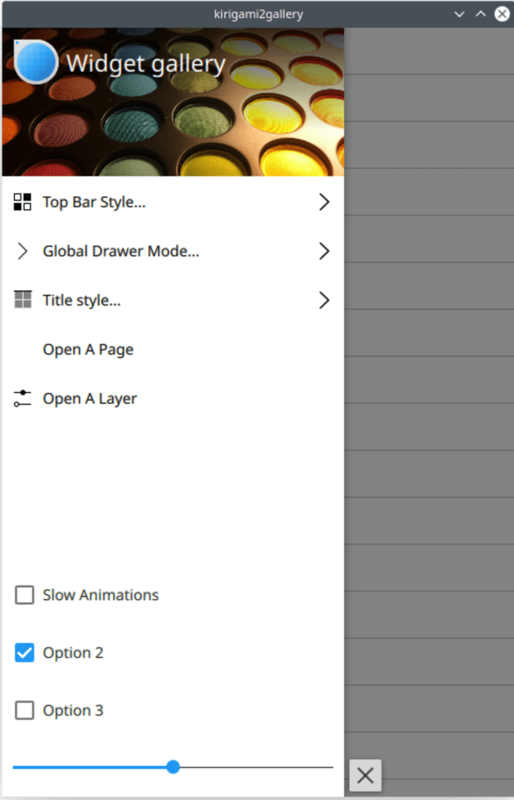 The use of the content snap will make your KDE experience consistent, both in looks and functionality. It allows multiple applications to share the same runtime libraries, reducing the effective disk footprint by up to 99%!The full stack for Qt (3D acceleration middleware, translations, etc. ), on top of the core snap, weighs somewhere between 100 and 200 MB, while most applications (including translations, documentation, artwork) are below 10 MB. A good example is Kcalc. If one were to put all the absolutely necessary requirements for Kcalc into one snap it’d be about 90 or 100 MB in size. With the content snap, Kcalc weighs only 500 KB, and the rest is shared through the content snap.Again, much like the build snap, it allows for modular usage, without having to maintain complex work setups. CMake improvements – the snapcraft CMake plugin is more generic. We have removed the reliance on make as the underlying build system, which enables the use of other build systems such as ninja. Several KDE snaps were refactored and successfully used build-snaps, including several games (KAtomic, Granatier and Bovo), utilities (for instance, the aforementioned Kcalc) and education programs (like KmPlot and KGeography). A number of other KDE application snaps were fixed or improved, and published in the store. We also worked with Harald to reason through what would be contained in a snapcraft extension for KDE. This is currently work in progress, but should bring about some really useful features for developers. Looking to the future, with cmake changes and the KDE extension in place, KDevelop will come with an integrated snap functionality. Developers who want to develop new applications using the KDE Frameworks will not need to worry about manually collecting and satisfying dependencies and putting everything together anymore. Speaking of the future, while you’re waiting, you might want to check out the demo snap that showcases the new converged Kirigami framework, and allows both developers and users a taste of the new KDE using the new responsive, elegant, and open cross-platform QML-based toolkit. There’s more! Plasma as a snap! 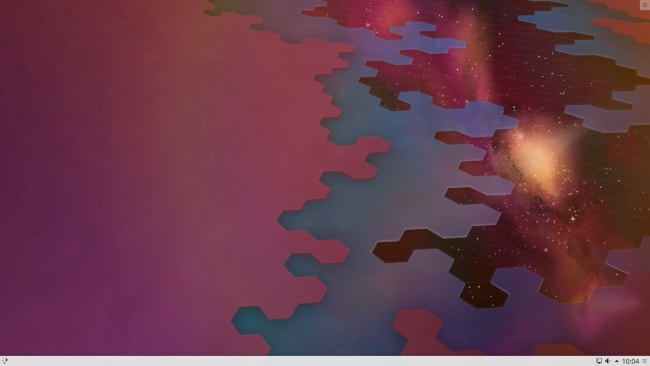 If you find the build and content snaps interesting, wait until you try the ENTIRE Plasma desktop. As a snap. The desktop comes as a standalone application, which you can run without making any changes to your underlying system. You also do not need to have the latest and greatest Linux distribution version to run the snap. If the system supports snaps, it will run the Plasma desktop. You can test the desktop environment even on older systems. You can also test multiple versions in parallel, and have stable and bleeding-edge versions of the desktop living happily side by side without any library conflicts or clashes. The snap also integrates nicely into the SDDM login manager, so you have a seamless experience. These are some of the many new features coming into the KDE world. Over the coming weeks, as we roll up improvements, you will be able to use the build and content snaps, which should make the development easier and faster. End users can already test some of the hot new stuff through the edge and beta channels in the Snap Store.